It is a land of millenary history, has a rich artistic heritage and a cultural legacy by muslims and Christians. The diversity of artistic styles, the quality of the musical and theatre activitys, as well as the rich traditions which still maintaining its citizens, making one of the identity sign of the province in culture. The Granada's gstronomy is rich and varied. It's a clear excuse for visiting this city. Granada is the capital of the province with the same shared name. It is situated at the beginning of Sierra Nevada, in the Betucuab system of mountains. Located in the oriental area of Andalusia, south Spain, has one of the grand cultural heritages in this country. 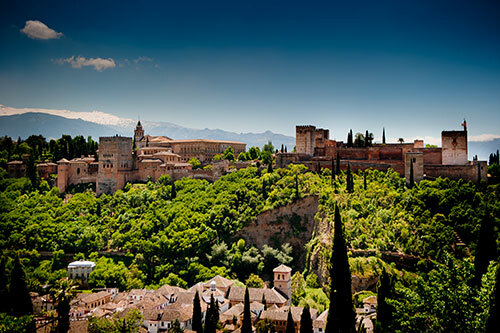 Also, the world known Alhambra and the Albayzín quarter, declared World Heritage Site by UNESCO, Granada has with a renaissance cathedral which was started in the XVI century.